Do you have your Halloween costume yet? I know it’s not even October yet, but Halloween will be here before you know it. I used to love to get dressed up myself, and now I really love to dress up the kids. As you also probably know, I love to save money. 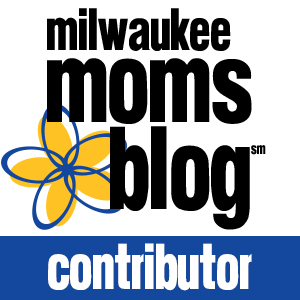 Today, I have a guest post from a fellow blogger named Jason. He’s going to show you how to find that perfect Halloween costume, while saving money at the same time. Perfect! As Halloween approaches, most big-box stores roll out a huge selection of costumes. In many mall locations, special Halloween stores pop up for the few months leading up to the holiday. Aside from the Internet, these stores have the best selection of costumes, but likely not the best prices. Knowing when to shop at these stores can save you serious cash. Shop soon after merchandise hits the stores for the best prices and selection. Starting around the middle of October, prices hit their peak until they decrease the week of Halloween. The closer you get to Halloween, the more discounted costumes become. If you can stand waiting until just a few days before Halloween, you should be able to get discounts at stores like Target and K-Mart. Warehouse stores like Costco and BJs tend to have some of the lowest prices on costumes, but they also set their merchandise out earlier than other stores. Shop early (late August to early September) to get the best deals before popular costumes sell out. You can also plan ahead for future years by shopping after-Halloween clearance sales and getting costumes for up to 90% off. This can be tricky with kids, as they tend to want to dress up as their current favorite character or toy. However, it can be a great money saver for adults or babies. If you want a fancy or elaborate costume, one of the best options is to rent it. Most cities have costume rental shops or high school or university theater departments that rent out costumes. Although the cost may be higher that purchasing a simpler costume, it is definitely much cheaper than buying the same elaborate costume. 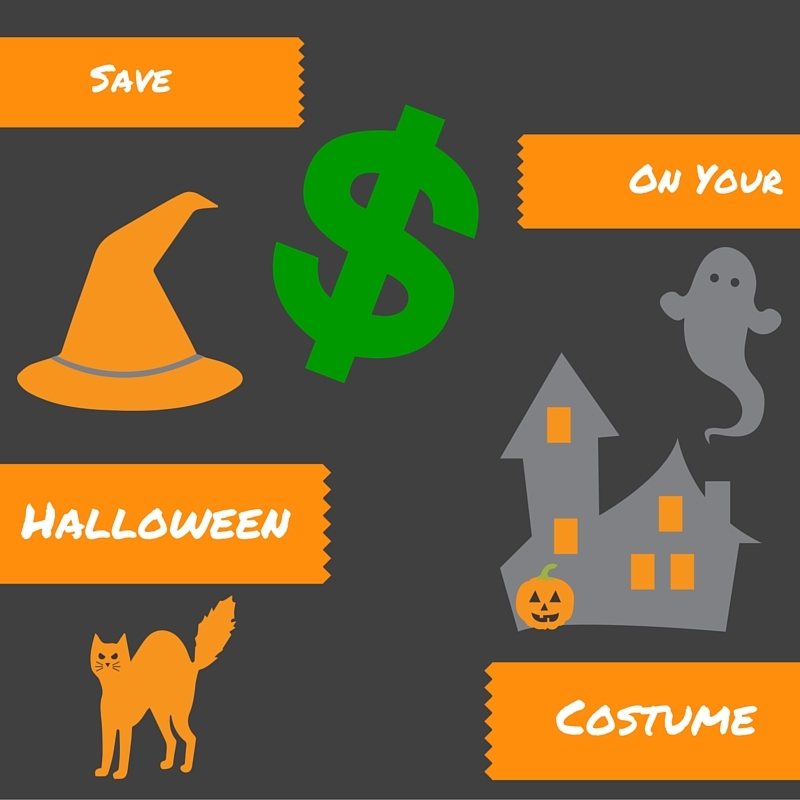 Look for coupons in the local newspaper and reserve your costume early, as the popular and less expensive options tend to go first. Consignment and second-hand stores are a treasure trove of costume ideas. Most stores put out a special section of Halloween costumes starting towards the end of September. Costumes may be new or gently used, but the prices are significantly discounted off full retail prices. You can also put together your own costume by shopping through the store’s other sections. Many thrift stores put a different type of item or tag color on sale for an additional discount each day—maximize your savings by purchasing items that have additional markdowns. Perhaps the cheapest way to get a Halloween costume is to make it yourself. Be careful though, as the costs of materials can quickly add up, meaning it isn’t always cheaper to make a costume if you end up purchasing lots of expensive materials and supplies. Start by taking an inventory of your house and seeing what is available. If your son wants to dress up as a pirate, is there a men’s shirt in the closet that can be transformed? Does you daughter have a fancy dress that she could wear to be a princess? From there, use the Internet or your own creativity to see what can be added to the costume’s base to turn it into something spectacular. Many supplies can be purchased at craft and fabric stores—don’t forget to use a coupon, as these stores almost always have discounts available. If you’d like to read more from Jason, check out his BLOG. Jason Feller is an experienced writer that now blogs for Dealspotr.com about couponing strategies and money-saving tips for shopping at popular stores like Target. You can also find Jason on Facebook, Twitter, and Instagram. I always try to DIY costumes because the ones at the store get so expensive!! I used to go to the after Halloween sales all the time to get Halloween costumes. 🙂 Great tips for saving money! great suggestions! I never thought of renting one or a thrift store. Thanks! This is getting me super excited for Halloween! I have no idea what I want to be yet! I’ve actually gone to the big stores the week after Halloween to pick out my costume for the following year! They are super discounted then. And thrift stores are great too! Yes! I love the after Halloween sales! awesome post! thanks for these tips! Our local tech college is hosting a costume swap this year as a community service project. It’s new this year and I hope they get a good turnout! I waited one year mainly because my kiddo didn’t know what he wanted to be and I scored a $75 costume for about $20. Nice! It’s the best getting such a good deal like that! Halloween costumes are so ridiculously expensive! For both kids and especially adults. I haven’t bought one in 3 years because of this. Great ways to save you mentioned!! Yes! I never buy them at full price. Great ideas! My daughter recently got her costume from a thrift shop. I had not thought about renting. The kids like to wear their costumes for dress up year round, but renting would be great for an adult costume. LOVE Halloween, and I always dress up! Last year I was dressed up as a Starbucks drink and I found that on etsy! Love supporting regular, fabulous people who are creative! Nice, frugal tips! I always go to stores right after halloween to get the super discounted costumes and use them the next year or go to thrift stores and get the for super cheap! We still need the one year old. I’ll be considering these suggestions when we decide on one for him. Can’t believe it is almost October, great tips, never thought of renting a costume as an option. One of my son’s first costumes was from a thrift shop for $8. It was a great find, and only worn once 🙂 I had no idea about Target & bigger stores being cheaper due to putting costumes out earlier. Thank you! Totally frugal here so love these Halloween costume tips. Thankfully, my boys rarely wanted any fancy costumes so they were happy wearing their baseball and soccer uniforms. I love making costumes for my kids! I pride myself on spending as close to zero dollars as possible. It’s a nice little creative challenge every year, but they always turn out great. I think it silly to pay much money at all for a one time costume. These are great tips! Exactly. I can never bring myself to purchase a costume anywhere close to full price, but I’m not quite crafty enough to make the whole thing. I’ve usually already figured out what I want to be by now so that I can gather items for a DIY or be on the lookout for great sales. These are great tips! I’m planning on finding our Halloween costumes today at goodwill! I never really thought about renting a costume! We always made ours growing up but I do see them now at Costco and think about how much easier that is when you have kiddos. We also used to buy our costumes after halloween on wicked clearance for the next year, or just for dress up. Hi Jason! It’s great to meet you! Let me first say, you are speaking to my heart! I love Halloween! But not just because of the costumes and candy but because of the horror movies! I remember as a child getting those cheap plastic mask costumes. I don’t know how we breathed through them. Then we grew older and began making our own. In my 20’s, we either bought them or rented them. If we spent a lot of money on the buy, we made sure to wear it to many parties and for as many years as we could. Thanks for sharing these great tips with us. 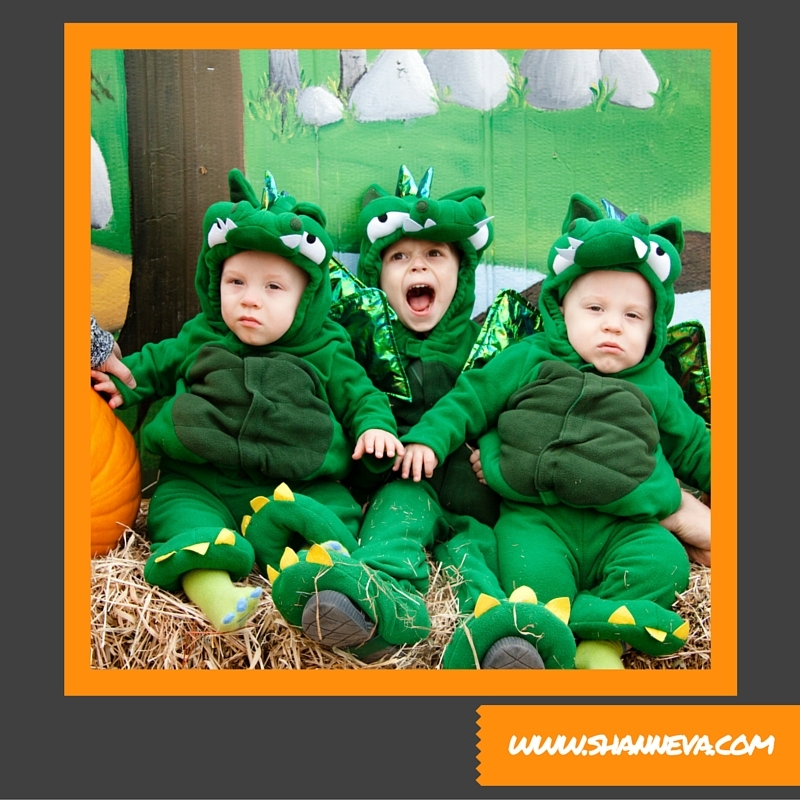 Shann, you’re boys are adorable! Muwah!